Hello again! I just got back from the best experience I've had since I started blogging! 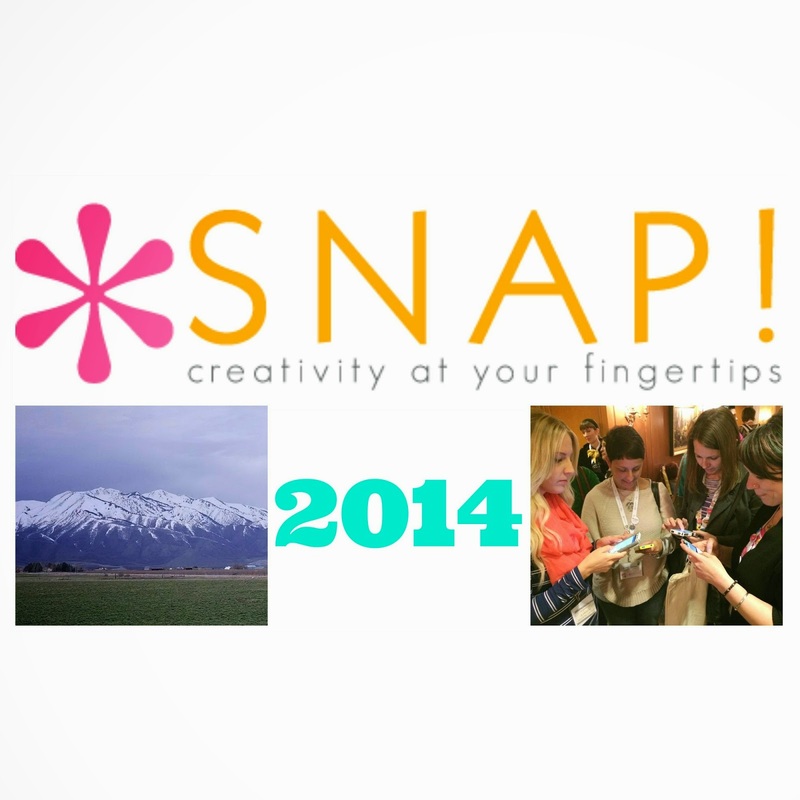 SNAP conference 2014. The weekend was chocked full of information, food, networking, more food, and fun. A blogging conference may not sound like great way to spend 4 days, but trust me, you'd want to go too. I was blessed to be able to attend Haven, last summer in Atlanta. 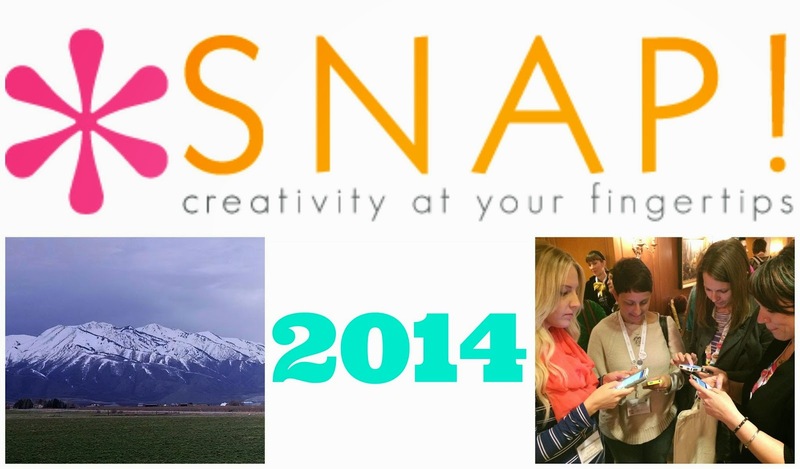 It was very helpful, but SNAP was a whole different experience. 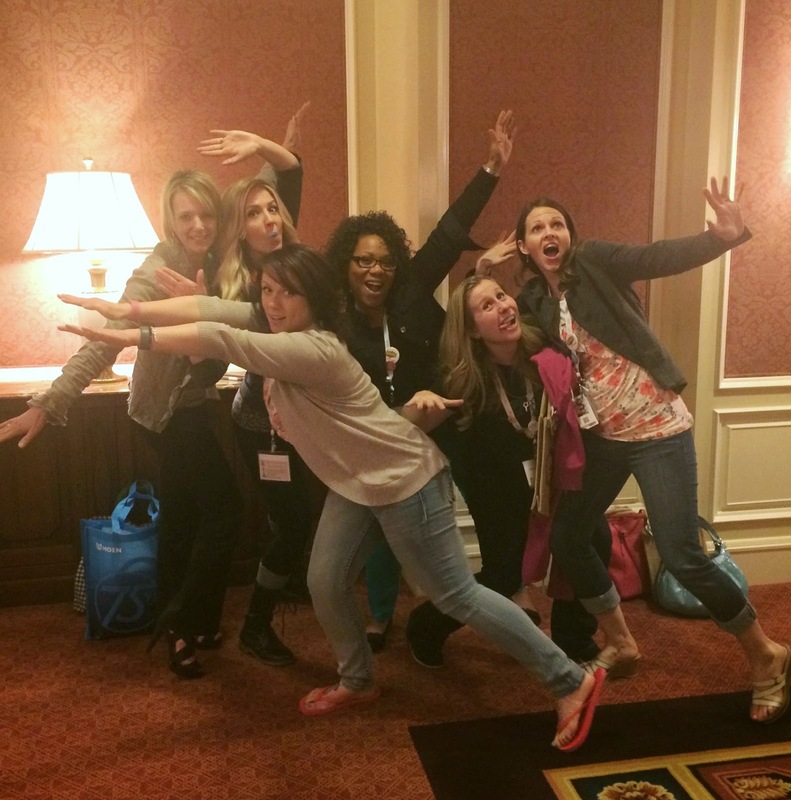 Although I loved Haven (and am working on going again this year), I decided I would break down the reasons why this conference rocked just a little harder. I attended several fabulous classes and am SUPER excited to implement what I have learned. I feel like I am a better blogger (or will be soon). The developer of InLinks actually flew all the way in from Greece to teach a class I attended. Although I really enjoyed the classes, some of the other activities were unforgettable. 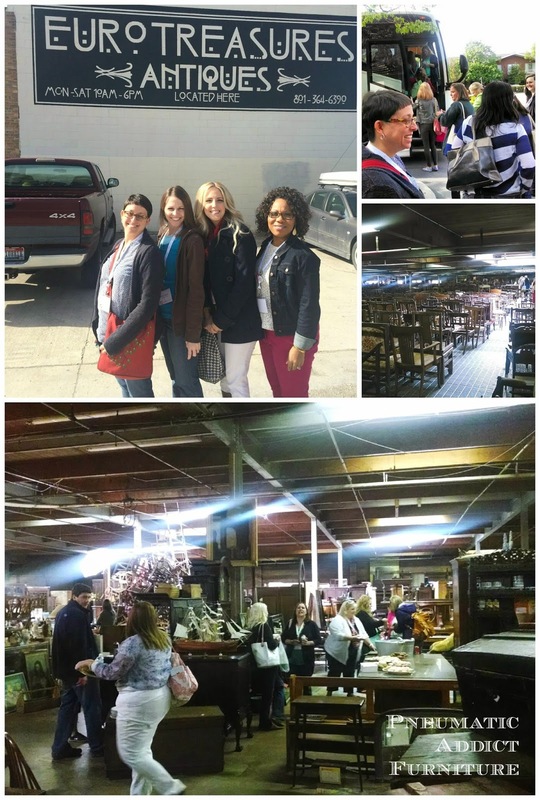 Like our field trip to the most amazing store I. have. ever. seen! If you ever happen to be in SLC, you have to check out Euro Treasures! Make sure you have plenty of time though. It is a warehouse literally packed floor to ceiling with the most beautiful, authentic, antique furniture I have ever seen! I met the the owner Scott. So kind and so knowledgeable! He even set up a spread of treats for us to enjoy. 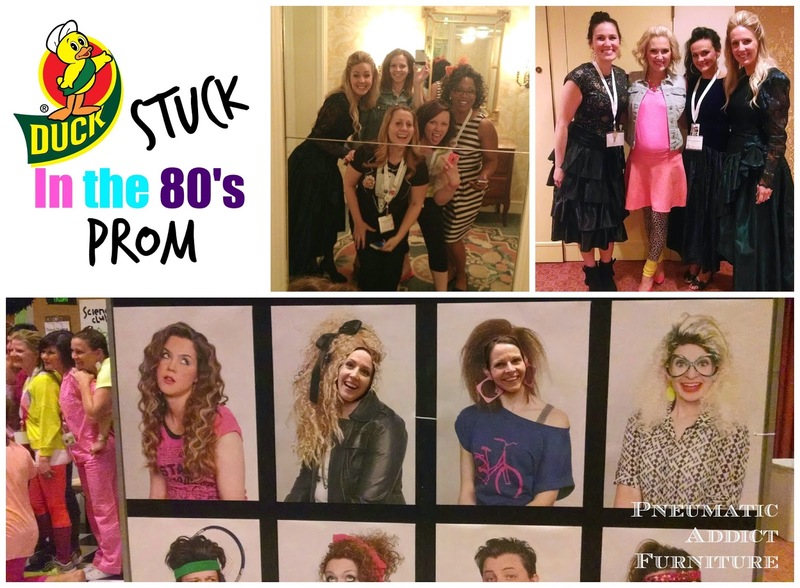 Duck Tape generously sponsored the "Stuck in the 80's Prom" party Friday night. I may or may not have looked like a polygamist. Just sayin. It was awesome. 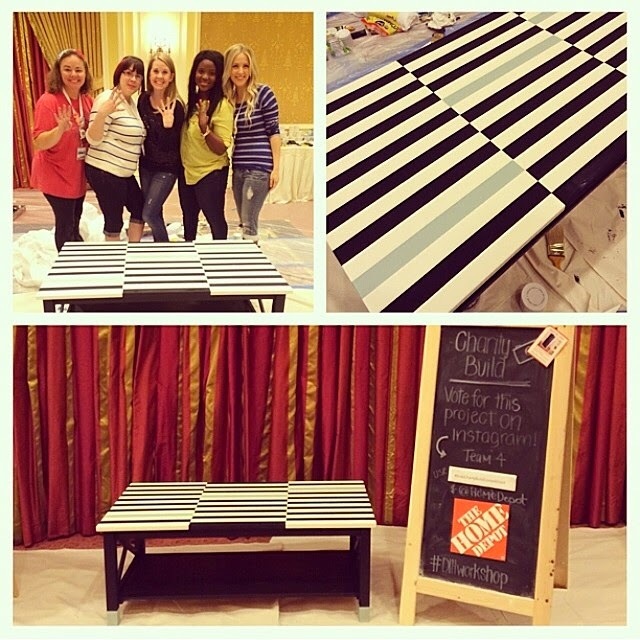 One of my favorite parts was being chosen to take part in the Home Depot charity contest. I was lucky enough to be partnered with Eliesa from A Pinterest Addict, Sarah from Becoming Martha, Amanda from The Contractor Chronicles, and Destiny from A Place For Us. The challenge was to finish a piece of bare furniture that would be given to a deserving, single mother and daughter, and we had only 2 hours to finish. Generous as ever, Home Depot hooked us up with an awesome swag bag and a gift card (which is burning a hole in my pocket). 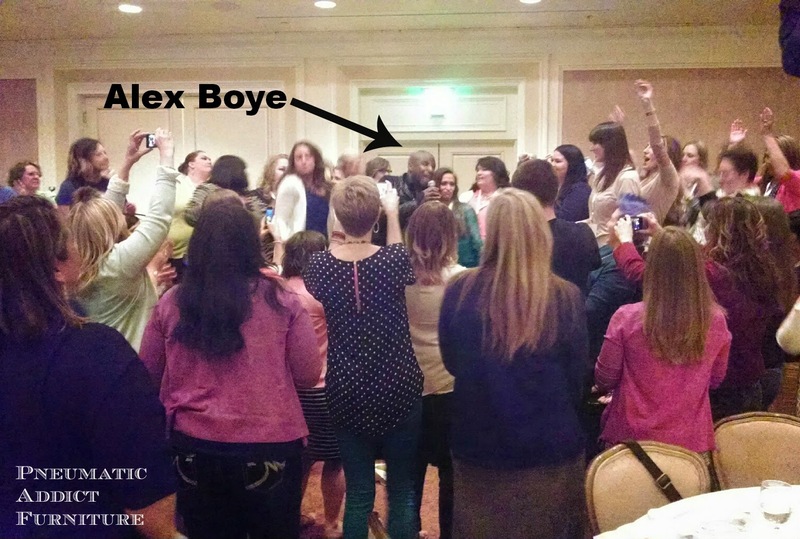 Have you heard of Alex Boye? If you haven't, you HAVE to check out his music videos. If you have, you should still check out his music videos. This guy is the shiz. Seriously. Way cooler than I will ever be. He is a singer/songwriter/producer originally from London, who now lives in Salt Lake. I can't tell you how talented this man is, and hilarious too! He put on an amazing concert Thursday night, and shared some inspiring personal stories with us. Talk about inspiring! The next night we heard from Sochi silver medalist, Noelle Pikus-Pace. I had heard about her during the Olympics, but I had no idea the challenges she overcame. She showed the video of her final, winning run. Everyone in the room had tears in their eyes as we watched her run up to her family is the stands to celebrate. And we all started bawling when the lights came on and she held up her silver medal. So powerful! Tauni, the organizer of SNAP did a fantastic job picking out the sponsors this year. Every brand was a perfect fit and unbelievably generous! 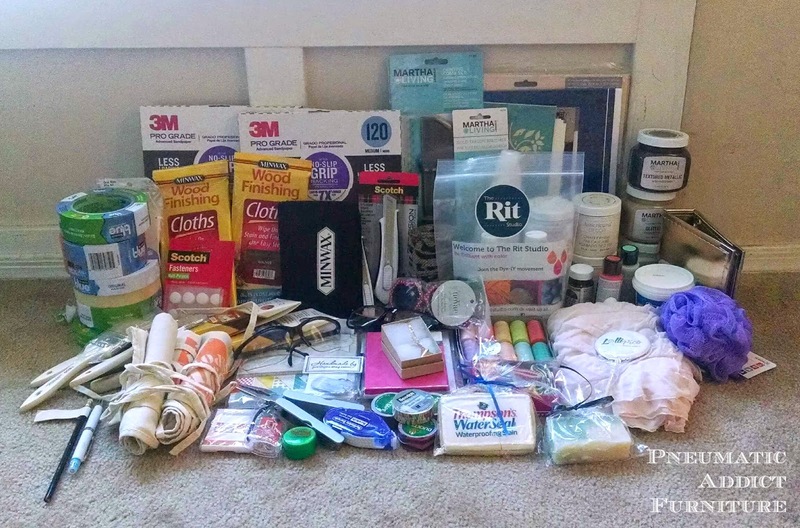 Just look at all the stuff I brought home! The only bummer is they were so generous, I had to pay an additional $50 for an overweight bag on the flight home. I was pulling out and giving away some quality products, just so I could zip my suitcase. Maybe I should consider flying Southwest next year? I'm very excited for the connections with brands I made, and I think you all will be too (hint hint). You often hear bloggers say the connections and friendships they make at a conference are the best part. Well, its totally true! At least for me at SNAP it was. At Haven, I met some awesome friends that I'm still close to now, but you definitely felt some cliquishness, and I would dare say snobbery from some of the other bloggers. Not for one moment at SNAP did I feel excluded or looked down upon. Everyone was SO warm and friendly! 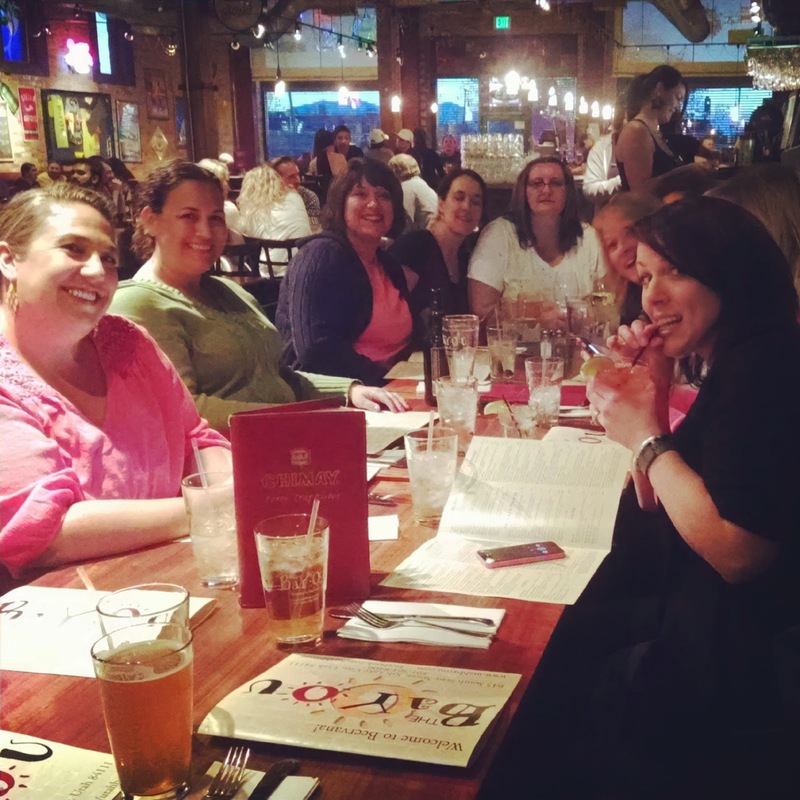 I had the opportunity to talk with a few "big" bloggers, and they were all down-to-earth, sweet ladies. Speaking of cool people, I had the best roommates! All 5 of them! Dee from Cupcakes and Crowbars, Tisa from Tisa's Creations, Randi from Sowdering About, Krista from Hoopla Events, and my good friend Mindi from My Love 2 Create. Sorry for the ridiculously long post. I feel like I barely scratched the surface of my experience! I want to send a big shout out to Tauni and her team. You ladies knocked it out of the park! Thank you SO much! For the rest of you, if you blog, you need to attend next year! Seriously, it will change you and your blog for the best. 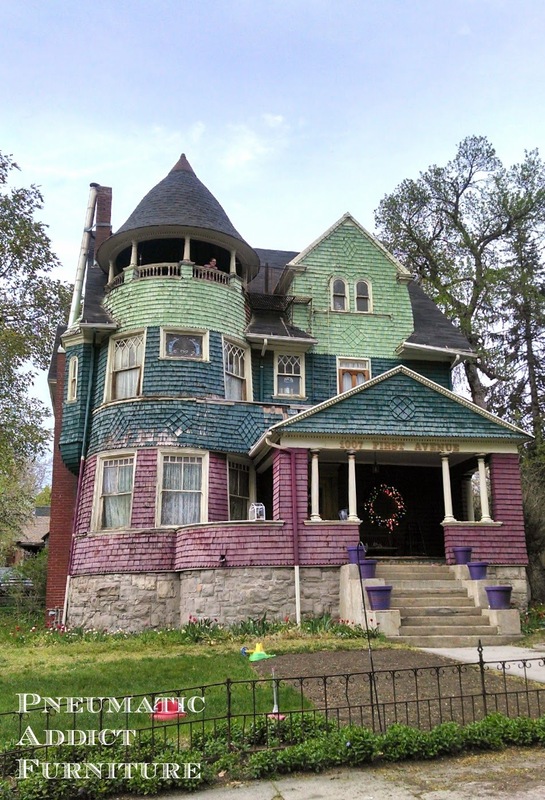 If you don't blog, check out Salt Lake sometime and maybe we'll bump into each other at the bakery. I love the last picture of us! So awesome! I miss you! That was so fun! Love the pictures. That was a great recap! I feel like I just re-lived the whole weekend again, sa-weet! I second everything you said, so. much. fun! And your table was amazing, you totally deserved to win! Great pictures by the way...I agree with Tisa, the last one takes the cake! Loved being able to reconnect with you at SNAP. Can't wait to see what the next year has in store for you! Your table was amazing! Great recap! Great recap! As for spooning, I asked my husband last night to put on a blonde wig and cried myself to sleep. Perfect Recap! Wonderful time, fantastic people! So glad you had fun my dear! I hope I can attend next year! I met you at Haven last year, and kept hearing people ask, "Did you go to SNAP?" Now I know what the heck this is. Looks awesome, and congrats on your win. Can't wait to hang with you again at Haven this year. Can't come fast enough. Now to go add all of your funlovin' roomies to my BlogLovin' feed.